Italians know what they are doing when it comes to food, so naturally, that expertise extends to kitchen design. One of the hallmarks of an Italian kitchen is its size and sprawling nature. The kitchen might be the most important room in an Italian household and acts as the central hub where food is at the heart of socializing — they welcome guests with an inviting and relaxed elegance. 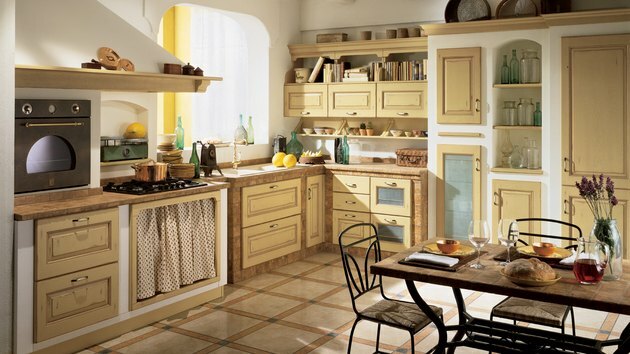 To create an Italian-style or Italian-inspired kitchen in your own home, first decide what kind of Italian kitchen you are going for. The Mediterranean kitchen features an emphasis on color and on more natural materials. 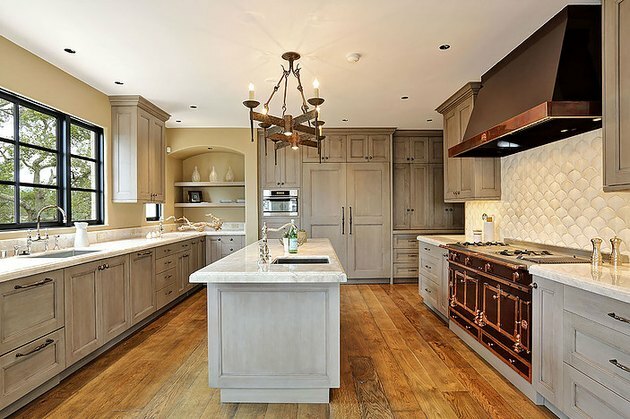 High-quality woods like cherry make quality cabinets, while backsplashes might be terra-cotta or tile. Or go for Tuscan opulence. The Tuscan-style kitchen is much more elegant and opulent than the Mediterranean version, however, still open, airy, and inviting. 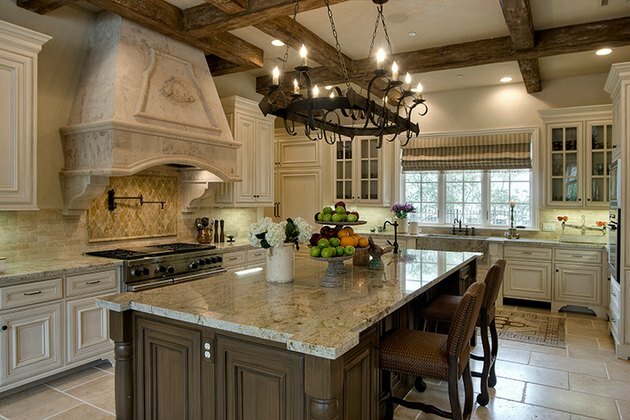 A Tuscan kitchen might feel like a vacation home, or a place of leisure, with an emphasis on lighting, whether that be natural light or an ornate chandelier hanging overhead. The Italian farmhouse kitchen is meant to evoke the style of a rustic kitchen in the Italian countryside, where an emphasis on fresh produce and unpretentious kitchen tools reign supreme. 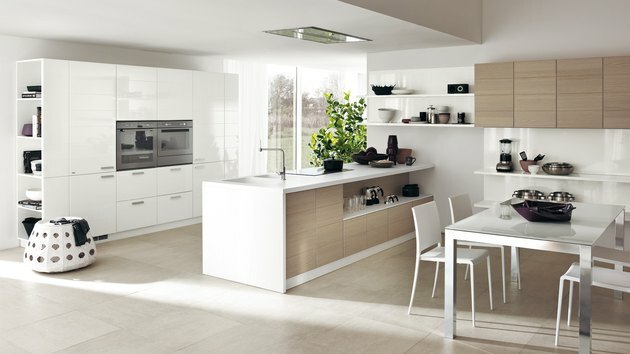 Make it a modern Italian kitchen. Not every Italian home is rustic or designed with Tuscan opulence in mind. The modern Italian kitchen might feature an open, sprawling floor plan, with seating options that allow for socializing in the kitchen. If you love dinner parties, then taking inspiration from a modern Italian kitchen might be what you're looking for. 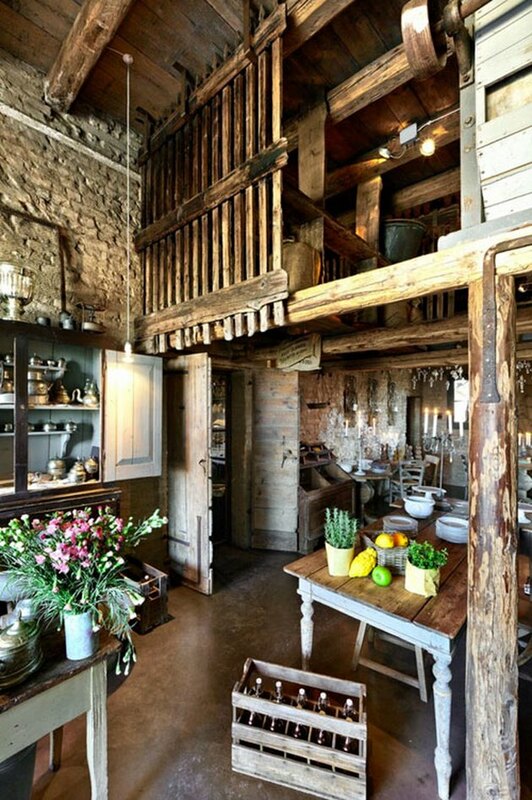 Or modify the modern Italian kitchen with farmhouse influence. 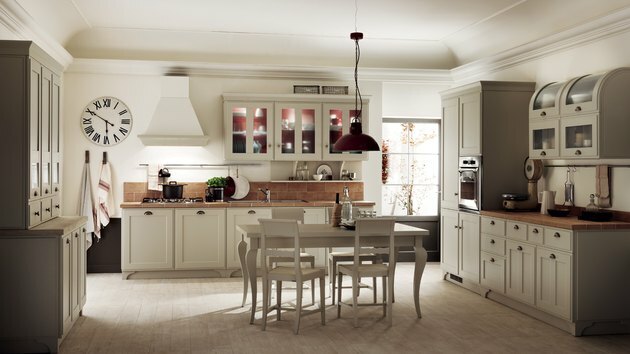 This kind of kitchen takes inspiration from the Italian countryside but places it in a thoroughly modern home. This perfectly bridges the gap for those who want the nostalgia, but with all the trappings of a modern home. Take inspiration from an ocean palette. Use color palettes that are inspired by the buildings dotting the Amalfi coast. Think of the beautiful colors of the buildings lining the Mediterranean sea that have been exposed to sand, sun, and sea for many years. 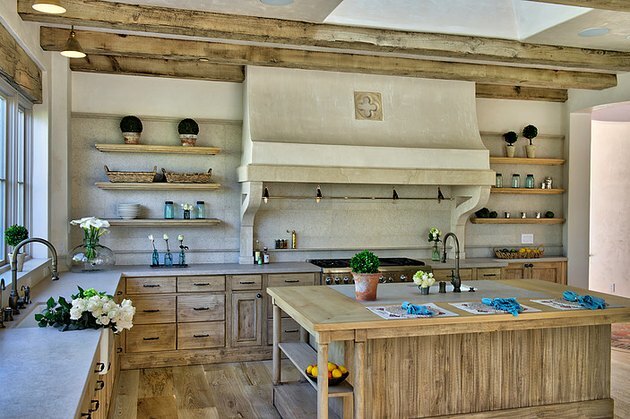 Natural exposed wood, materials in their natural state (or made to look as if they are in their natural state) are a hallmark of all the best Italian kitchens. 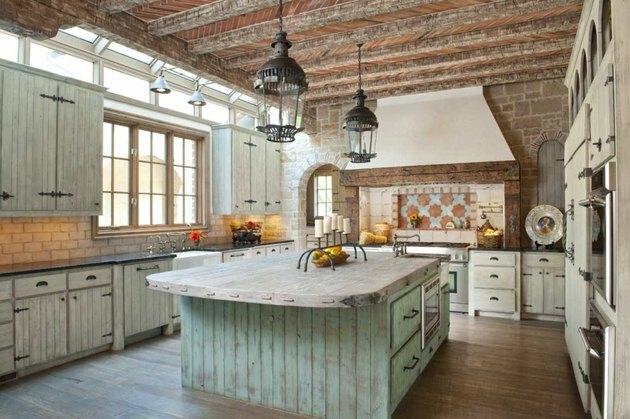 Terracotta, tile, clay, and stone surfaces would all fit in perfectly in an Italian kitchen. Blend relaxed elegance and lived-in luxury. The Italian kitchen is not a modest dwelling. 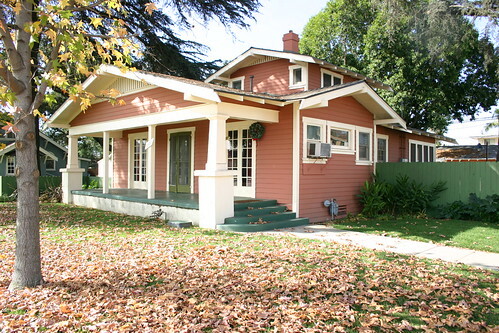 It has the feel of a vacation villa but like one that's been lived in for many years. 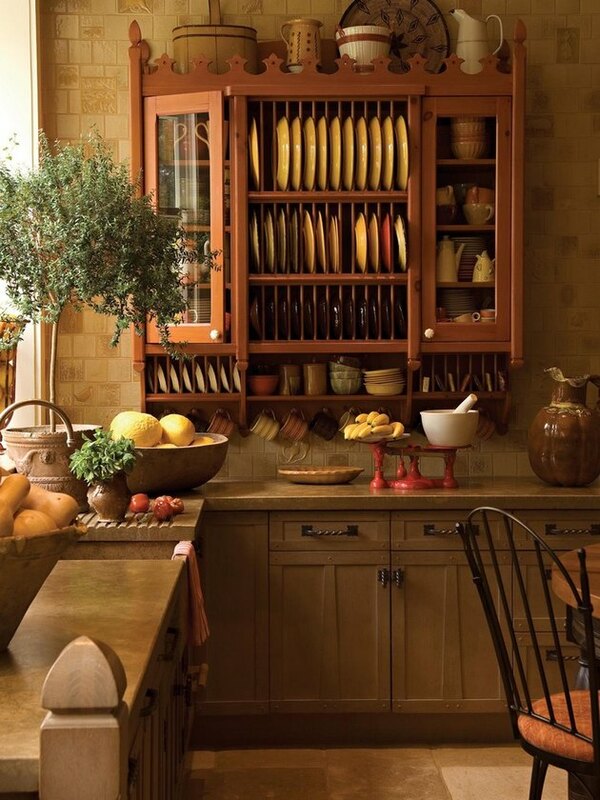 Strike this delicate balance by splurging on space, storage, and lighting but retain that lived-in charm with heirloom utensils or serving pieces. The Italian kitchen prioritizes counter space. You need lots of counter space for all the cooking and hosting you'll do in your kitchen. Also, one of the things that make Italian kitchens so dreamy is that they are not just beautiful to look at, but they're also truly the best workspaces for anyone who loves to cook. 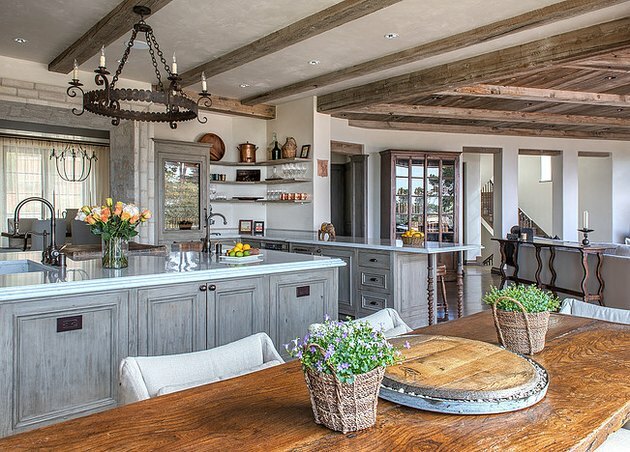 The typical Italian kitchen is sprawling, airy, and spacious. From the extensive counter space, to the high ceilings, to the bright and open windows — there is never a feeling of being rushed or cramped in this beautiful kitchen. Exposed wood ceiling beams are a must. 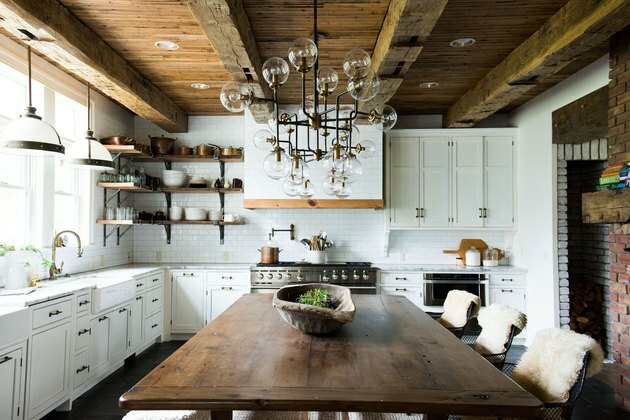 No Italian kitchen is complete without exposed wood ceiling beams. Usually a darker wood is paired with a neutral wall and ceiling color. If your home only has conventional, flat ceilings — there are ways to install faux beams to create the illusion that you're living in a rustic farmhouse.